The Dominican Republic shares the island of Hispaniola with Haiti in the Caribbean. It has a population of over 10 million, a number that definitely surprised me, and bucked the trend of soccer being the national sport; with baseball being a run away favourite. 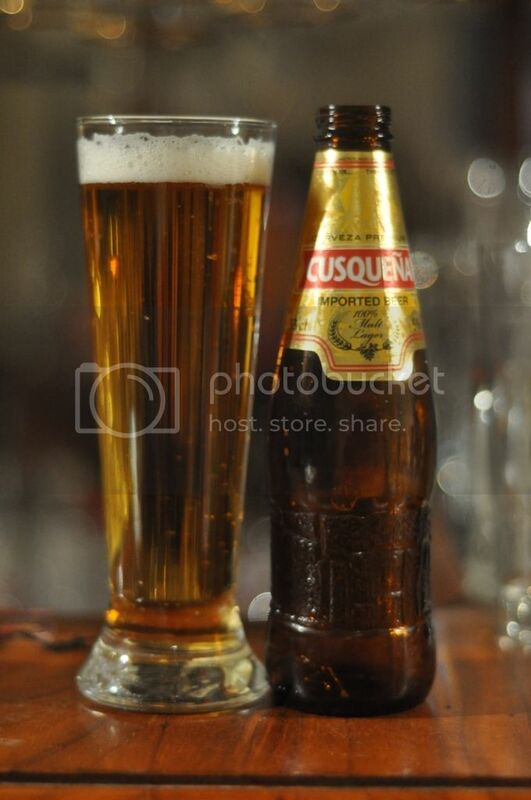 I'm not going to lie, I only knew of Presidente beer through the world of beer glasses. Back home I do have a Presidente glass and it's a shame that I'm saving my alcohol carrying limit for Belgium, otherwise I'd have brought one home with me. In saying that; I've got no idea if it's any good so lets get into it! 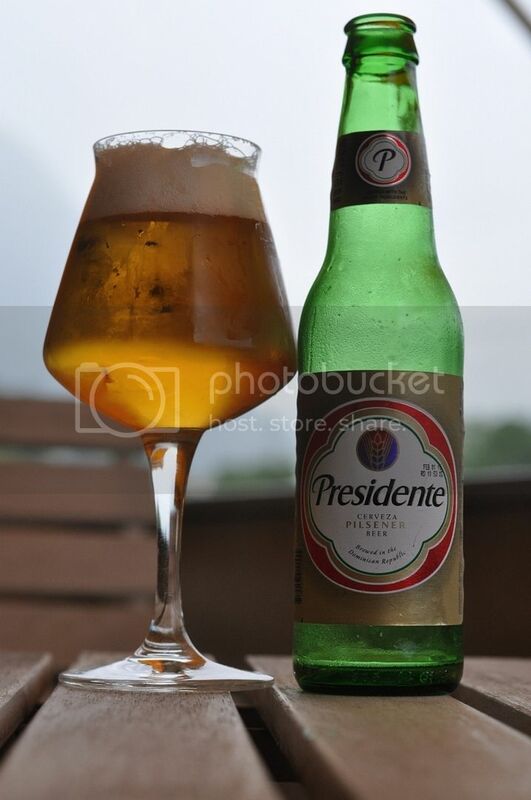 Presidente pours a middle golden colour. The head that tops the liquid if off white and quite thick, with the occasional large bubble. The head retention was excellent with at least a finger of foam hanging around throughout drinking. This one also laced the glass, often a sign of a well made lager. So far, so good for the Dominican Republic! Onto the nose and it's still, somewhat surprisingly to me, good news. The malt bill smelt grainy and not sweet, as far as I could detect, with only the faintest hint of corn. There were also some hops present on the nose with floral and citrus flavours both present. They also seem reasonably bitter on the nose, so fingers crossed this will taste good! It doesn't quite live up to the nose but Presidente is still pretty good. The malt base is mostly savoury grains with only faint hints of corn. What most impressed me was the hop profile of this beer, with grass being more prominent than floral upon tasting, and citrus also playing a major role. The beer finished nice and dry and went perfectly on a hot stormy afternoon in Vaduz. I think I wrapped up Presidente pretty well in the taste section. It's a more than serviceable lager, I now know they have issues with skunking, but my bottle was perfectly acceptable. If you can get a fresh bottle this is a lager worth trying, with nice hope bitterness and minimal sweetness it shouldn't put too many people off. any idea where you can buy this in australia?